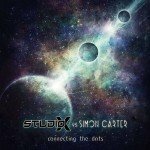 Background/Info: Star Industry is the one of the Belgian masters of gothic, which last year conformed all their skills on the phenomenal “The Renegade”-album. The fans of the band for sure must know this EP, which was originally released in 1999 on Purple Moon Records, right before the new millennium. Content: The ‘early’ sound of Star Industry hasn’t changed that much. The main influences of this band always has been The Sisters Of Mercy and that’s a link, which directly comes true at the title song featuring a punk flavor on top. One of the main strengths of the band always has been their captivating and carrying choruses and that’s what they already revealed at this EP. The work is pretty diverse as next to the title song we get a honest cover version of Killing Jones “Kings And Queens” plus a delicate ballad song and a final track getting us back to The Sisters Of Mercy. + + + : The title song hasn’t lost anything of its initial magic and I like the diversity of this EP. – – – : I don’t really see the bonus –except for all of those who don’t know the original production, to bring this work to life again. It would have been cool to get some remixes and/or totally reworked versions. 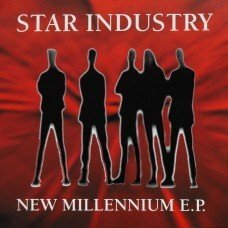 Conclusion: “New Millennium” doesn’t bring anything new, but brings us back to the early and already successful days of Star Industry. Best songs: “New Millennium”, “Sodium Haze”.